Woman and child dead after fall from internal balcony. 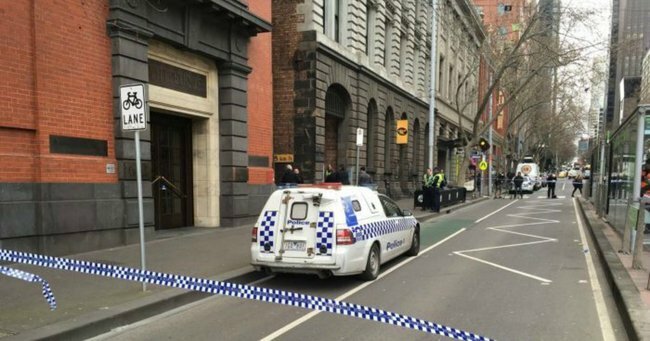 Woman and child die after reportedly falling from internal balcony in Melbourne's CBD. A woman and child have been found dead after they fell from an internal balcony of an apartment building in Melbourne’s CBD, police say. Their bodies were found inside an apartment building on the corner of Bourke and Spencer streets about 10:30am. The exact circumstances are still being determined. The woman and child have not been identified. A large group of police could be seen outside the building and part of Bourke Street has been blocked off. Police were seen canvassing people in the area for information, including workers in a nearby cafe.